Diabetes is a chronic condition that’s common among Conroe, Texas residents. 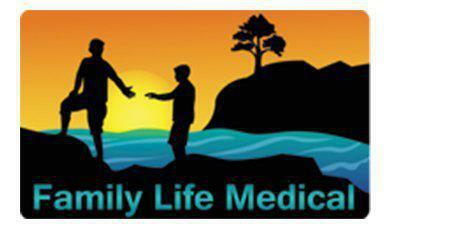 Whether it's type 1 or type 2 diabetes, Dr. Kyle Scarborough at Family Life Medical is ready to help. While diabetes can't be cured, it can be managed effectively with a combination of lifestyle changes and medication. Type 1 diabetes usually happens when a person has an insulin deficiency. It's usually diagnosed in childhood. Without the necessary insulin, a person with type 1 diabetes isn't able to process sugar and fat properly. Type 2 diabetes if by far the most common kind of diabetes. It's diagnosed in late adulthood and typically happens when a person develops a gradual resistance to insulin because of dietary choices or obesity. What are the indicators of diabetes? The most common indicators of type 1 diabetes include increased urination, dry mouth, blurred vision, and weight loss. Type 1 diabetes typically has more obvious signs than type 2 diabetes, at least in its earlier stages. Many people who have type 2 diabetes don't realize it because the disease has few early warning signs. This is one of the reasons that a yearly wellness exam can be so helpful. If type 2 diabetes isn't diagnosed, it continues to develop until symptoms like festering wounds, itchy skin, dry mouth, blurred vision, and increased urination make the presence of the condition obvious. Diabetes can cause severe damage to many parts of the body, including the kidneys, heart, and eyes. People with diabetes can develop life-threatening infections. While these effects are very serious, diabetes is a controllable disease. Dr. Scarborough works with patients to develop customized care plans that help them manage their diabetes effectively. There are 3 ways to control diabetes. First, patients must adhere to a regimented diet, one that avoids most processed and high sugar foods. Next, patients must take part in a regular exercise plan. The exact type of exercise is less important than simply making sure that the patient gets regular exercise and doesn't lead a sedentary lifestyle. Finally, most people with diabetes use either oral or injectable medication to control their disease. Patients need to commit to regular testing to make sure their blood sugar, cholesterol, and triglycerides stay within healthy ranges.